The University of Mississippi provides workers’ compensation benefits to all faculty, staff, and student workers who are injured performing work while in the course of University employment. AmFed is contracted to provide administrative services and is responsible for reviewing claims, determining benefits, and processing payments for expenses incurred and loss of work wages. Employees and student workers injured on the job shall notify their direct supervisor or department head when an injury occurs. The department has 48 hours from date of injury to complete the Workers’ Compensation Injury Report Packet and submit to the Department of Human Resources. MWCC – Workers’ Compensation – First Report of Injury of Illness: The injured employee or student worker’s department shall complete this form beginning with the EMPLOYEE/WAGE section. The form must be signed by the department head/chair or their assigned delegate (as approved by the Department of Human Resources) under Preparer’s Name and Title at the bottom of the form. Please note: the injured employee or student work shall not sign this form. Forms signed by an unauthorized representative will be returned to the department and will delay processing. Page 4 provides space for additional comments. Statement of Claimant: This form shall be completed and signed by the injured employee or student worker. It provides them an opportunity to describe how the injury occurred and what part of the body was affected, and to share information on medical treatment. Authorization for Release of Health Information: This form authorizes the release of medical information to AmFed and shall be completed and signed by the injured employee or student worker. 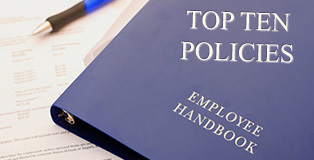 Where Should the Employee Receive Medical Treatment? The University authorizes initial treatment for workers’ compensation injuries at 2 locations in Oxford. For minor injuries, the employee or student worker shall be escorted to Employee Health on the 2nd floor of the V.B. Harrison Health Center to seek medical services. Care for serious injuries shall be provided by medical personnel at the Baptist Memorial Hospital-North Mississippi emergency room. Should the injured employee or student worker voluntarily elect to receive initial medical treatment from an unauthorized medical care provider or facility, they must complete the Choice of Physician form which is available in the Human Resources office. Questions about filing a workers’ compensation claim should be directed the Department of Human Resources Benefits Staff at 662-915-1518.